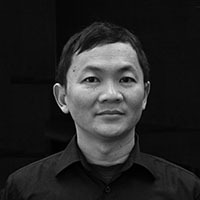 Prof. Ue-Li Pen is a theoretical astrophysicist with the Canadian Institute for Theoretical Astrophysics at U of T. He studies systems in which basic physical effects can be isolated from astronomical complexities. Current projects include the non-linear dynamics of the cosmic neutrino background, 21cm intensity mapping, pulsar VLBI scintillometry. Pen strives to answer questions such as: What are the initial conditions for the universe? And how can we improve astrophysics measurement techniques by orders of magnitude to answer precise questions, e.g. neutrino mass, gravitational waves, pulsar emission? He is deeply involved in Algonquin Radio Observatory VLBI, the Canadian Hydrogen Intensity Mapping Experiment, and the Murchison Widefield Array.